Cakes, Cookies and Chocolate are not my thing. I taste them if they are offered and sometimes indulge in full servings if I am in the mood, but I don't seek them out. I don't get sweet cravings. I don't have to keep pieces of chocolate around to satisfy frequent sugar fixes. Don't be too impressed, don't assume I have an iron will, and don't think for one second that I don't have "bad for you" cravings. I do! They are just of the saltier, crunchier variety. When I am eating healthy and want to divert from that course/cheat, I always want fried food. That is my ultimate weakness! Because of this I am always excited when recipes like these appear in my favorite publication, Cooking Light. It gives me a way to indulge without complete guilt - and I love it! This recipe was very delicious. I wasn't as excited about the mayo based dipping sauce (another thing I am not a big fan of is mayo) as my husband, but it was very good and the perfect compliment to the crunchy shrimp. 1. Combine flour, 1 teaspoon Creole seasoning, and salt in a shallow dish. cook 2 minutes on each side or until done. Repeat procedure with remaining oil and shrimp. 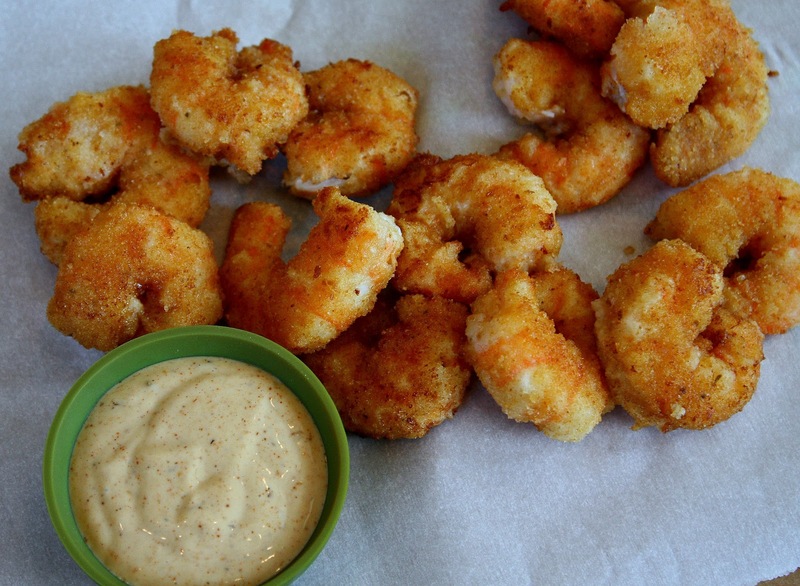 Serve Creole mayonnaise with shrimp. Mmm fried shrimp! The mayo dip sounds really good too. This seems pretty simple and really tasty. I'm definitely giving this recipe a try. I LOVE the photo in your header--it's the best and always makes me smile! I'm the exact same way - Halloween candy could sit around my house for months and I'd never touch it! But a bag of potato chips, forget it - gone right away! I can't help but salivate here. 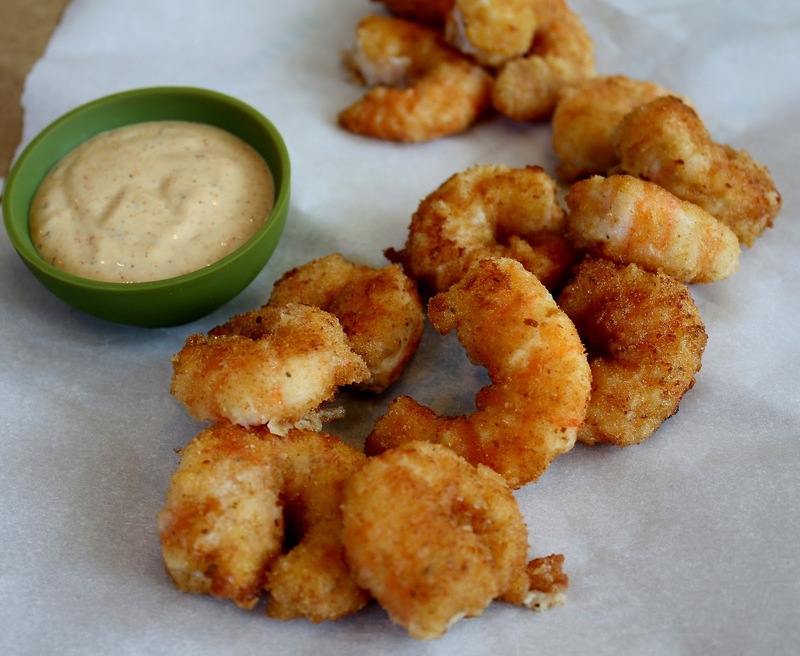 Ahh shrimp is one of my faves, too bad that it is expensive. I have never tried pan frying shrimp but these look too good not to try! Who says Summer can't be Comfortable?